The tech world is ever changing, evolving, and growing. This fast-paced environment can make it a challenging industry to enter, or chart a course for your professional development. 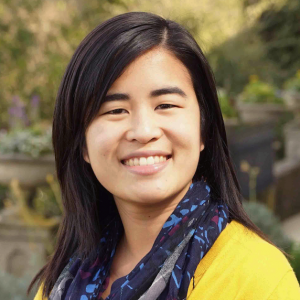 Jen Low, Career Developer at Hackbright Academy, spoke with The Muse, to share her insights on networking, negotiating, and navigating the job market. We know that the numbers for women in STEM and tech are less than inspiring. In fact, only 25 percent of computing roles are held by women – and only 10 percent of those roles are held by women of color. So how can women interested in the tech sector carve out a meaningful career path and succeed long-term in this dynamic industry? Anne Shaw of The Muse spoke to five women in tech and shared the top five insights to help women #changetheratio. Click through to The Muse for the full article and to read the actions, insights, and advice from this experienced group of women. This post was originally published on The Muse, it has been abridged for Hackbright Academy.